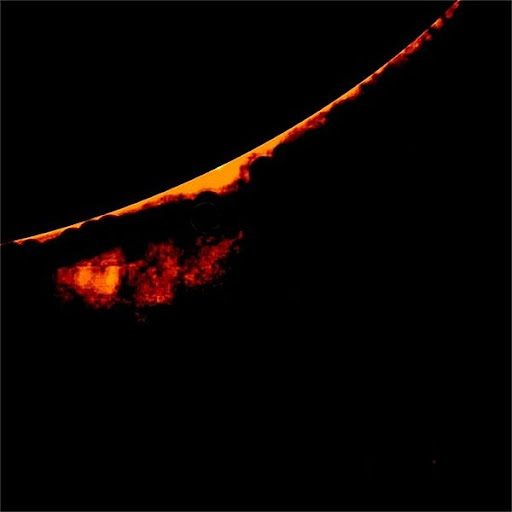 The flames in the sun or also called Prominensa is part of the sun which is very big, bright, jutting out from the surface of the sun, often loop-shaped (round). 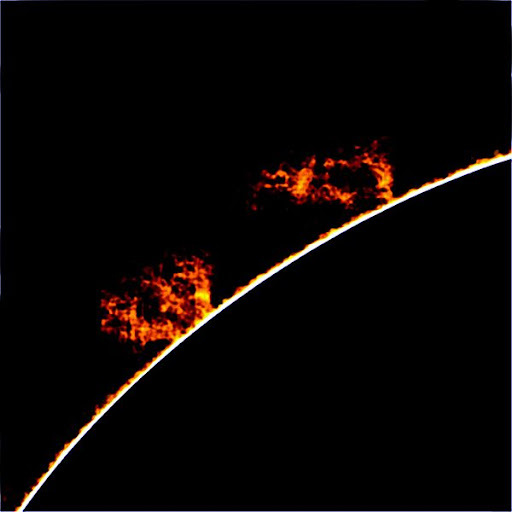 Date 26 to 27 September 2009 ago, spacecraft (Stereo Stereo A and T) that specifically monitors the sun for 30 hours to record this phenomena. Prominensa occur in layers in the solar photosphere and move out into the solar corona. If the corona is a gas that has been ionized becomes very hot, called plasma, which did not show the light, prominensa contains a cooler plasma. Prominensa typically protrude up to thousands of kilometers, the largest ever observed to appear in 1997 with a length of about 350 000 kilometers - about 28 times diameter of the earth. The mass of material contained within prominensa weighing up to 100 billion tons.